price at Amazon is not a bit higher! Because of the modern obsession with political correctness, there are many good books which are hard to find. I think you may find what you are looking for here. Please order from our pages by clicking on the hyperlinked book title. That will take you directly to Amazon Books where you can read about the book and then place your order. You will get very good service from Amazon. By starting your order from this page, Amazon will credit us with a percentage of your purchase. This way, you will be helping us meet some of our expenses, and you will NOT pay more by doing this. If you order by going directly to Amazon, we will not receive our credit from them. You need to go to Amazon directly from this Bookstore site. Amazon carries a number of very controversial books which most alleged Christian bookstores refuse to carry. We supply these so that serious research can be done. 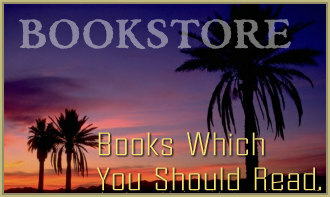 ALL books which we list are reviewed by us, and we believe they are worth buying. This is why you will find a limited selection. Do you know any good books we should add to our list? Send them by E-Mail below please. Send full Title and Author. At the left you can select the area of your interest and click on the hyperlinked words to browse our book selections. The theme of this page is Brazilian, or Amazonian, in the interest of our good friends at Amazon.com. I hope we have made you at home here at our bookstore. Bookmark us, and stop by again soon.